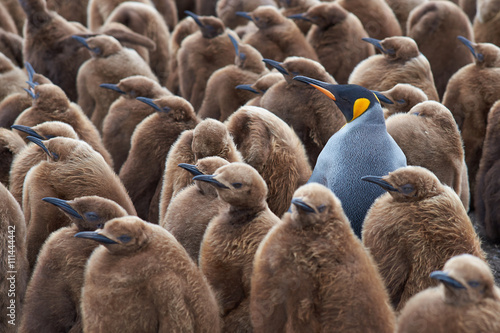 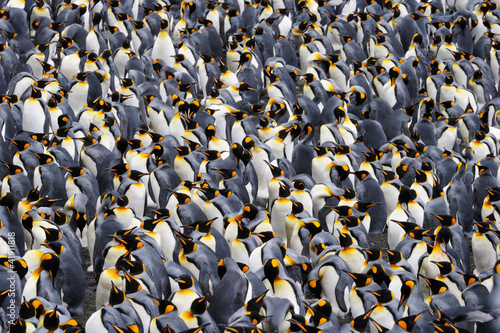 Adult King Penguin (Aptenodytes patagonicus) standing amongst a large group of nearly fully grown chicks at Volunteer Point in the Falkland Islands. 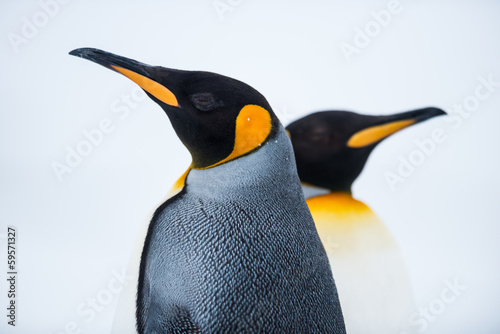 King Penguin (Aptenodytes patagonicus) Chicks in Creche in the rain. 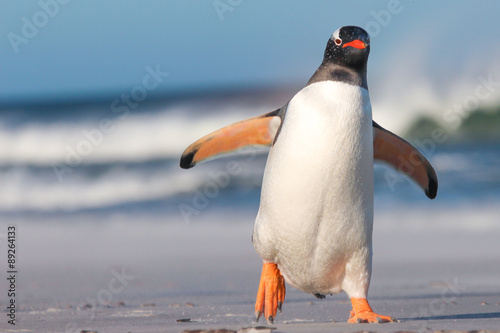 Gentoo penguin coming ashore through big waves, Falkland Islands. 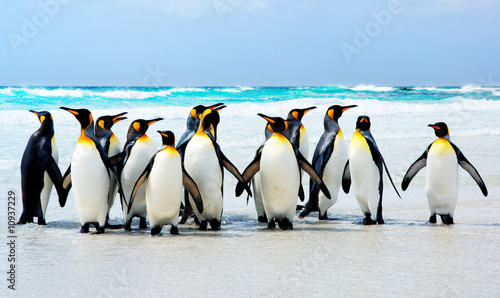 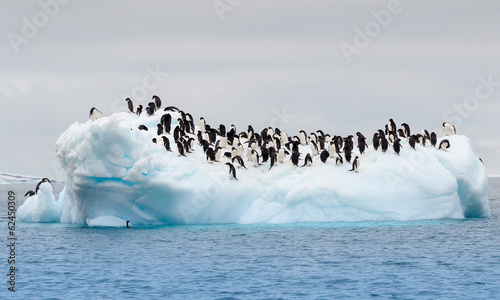 The colony of penguins approaches the water. 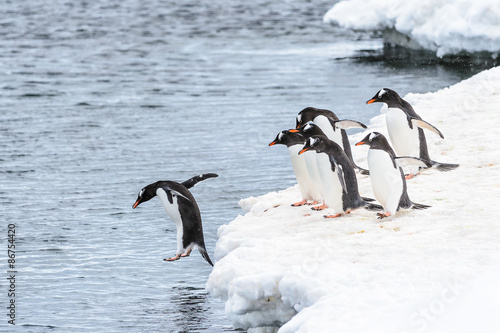 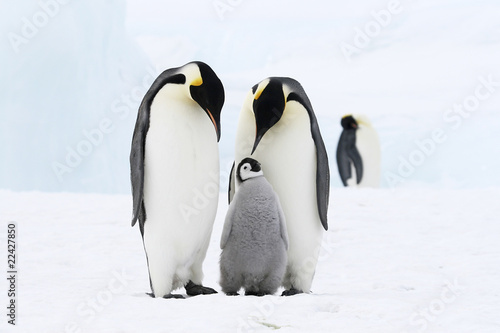 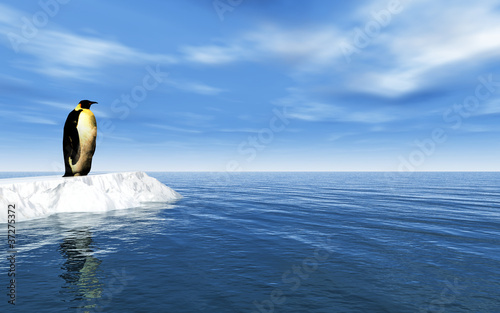 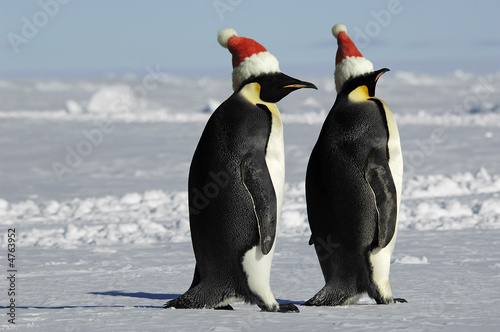 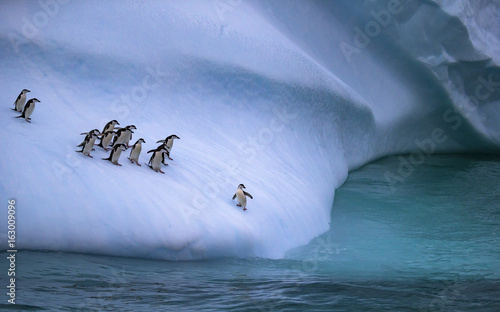 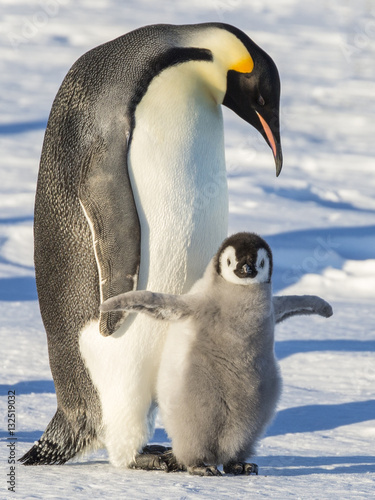 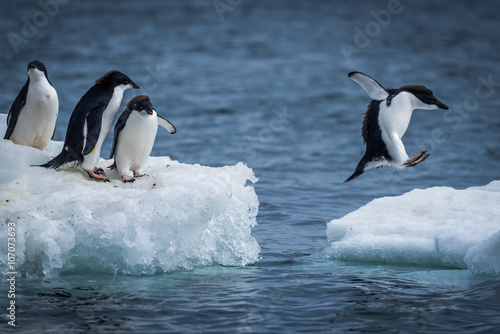 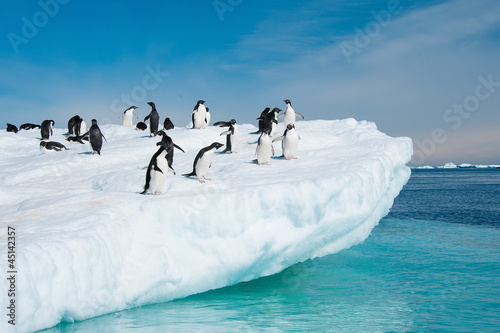 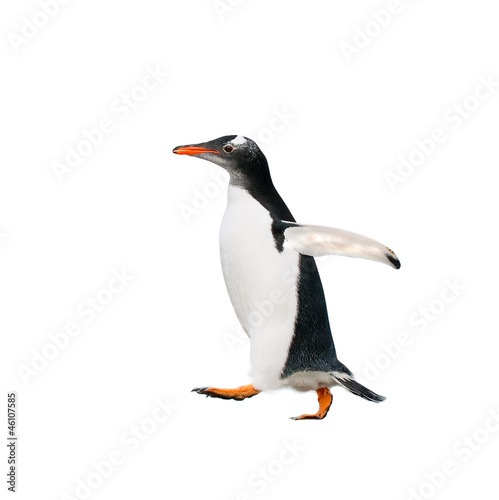 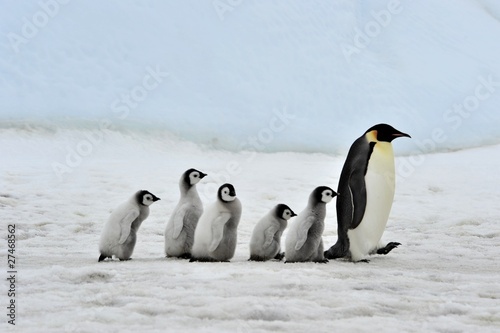 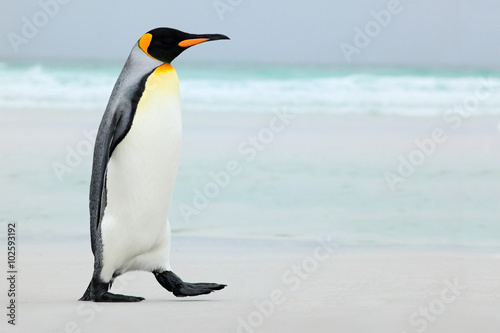 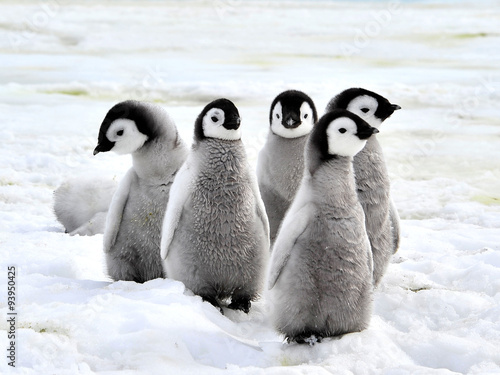 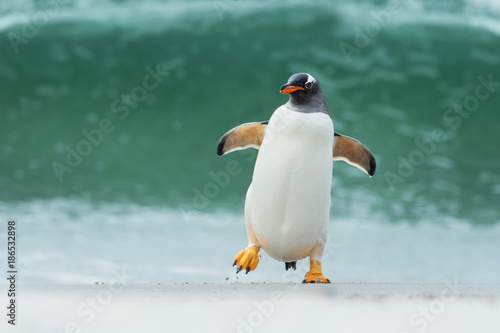 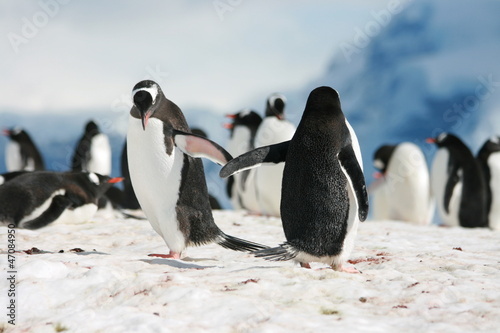 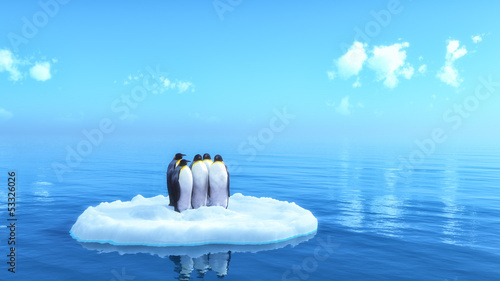 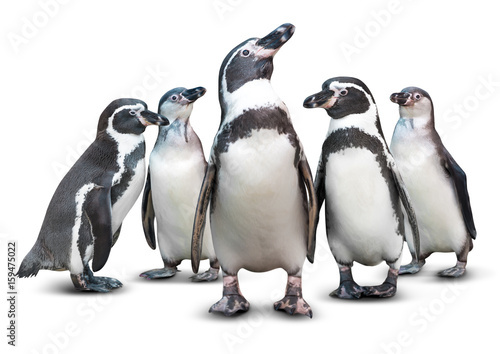 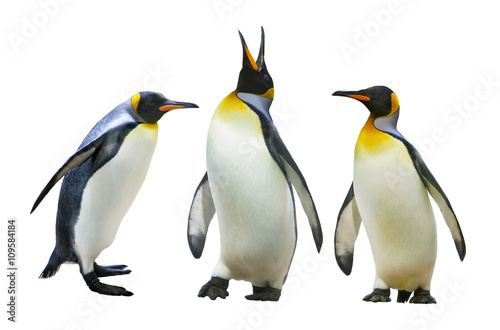 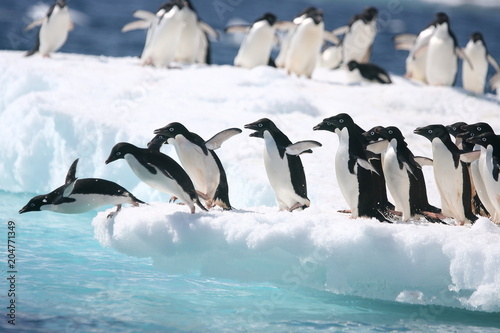 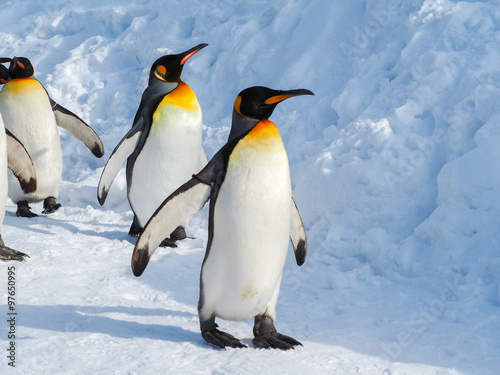 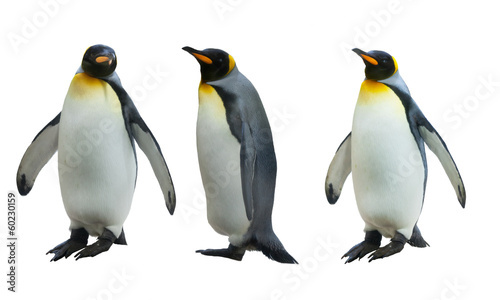 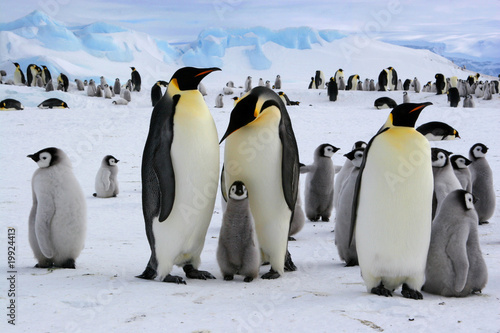 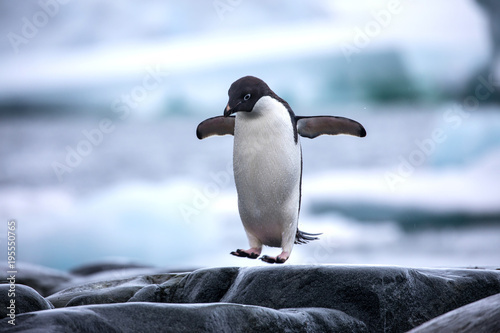 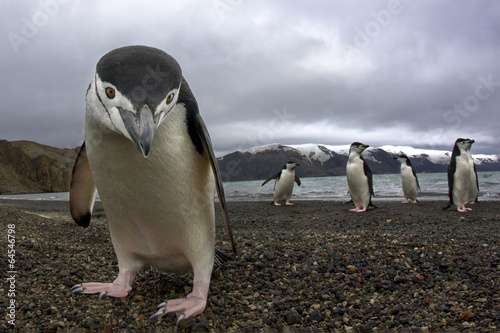 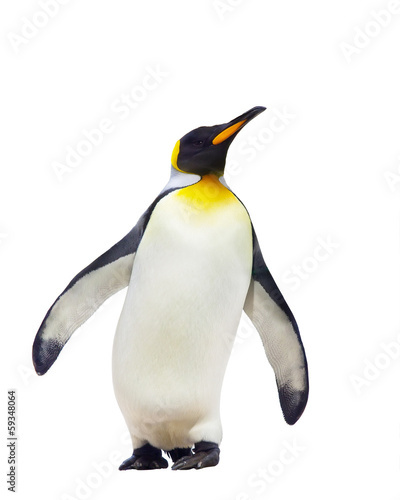 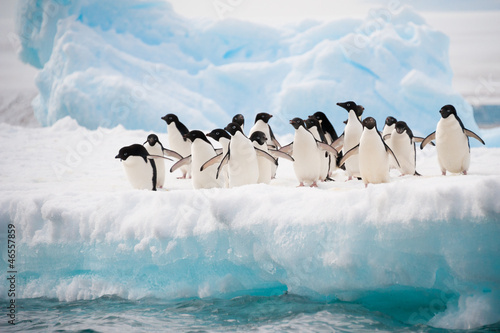 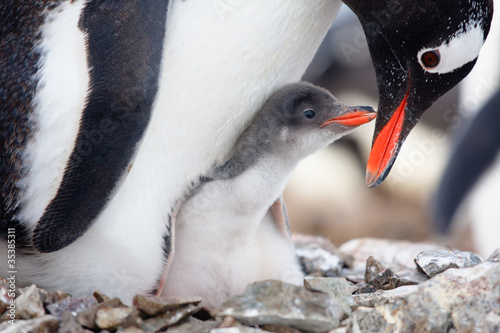 One penguin stands on the slope of the iceberg near the water. 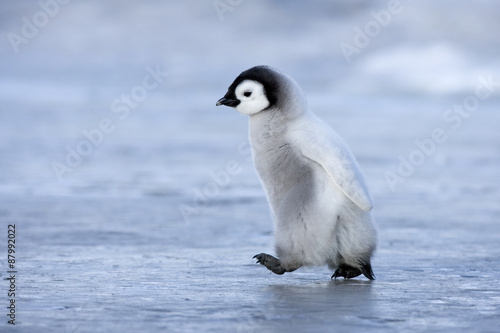 Andreev. 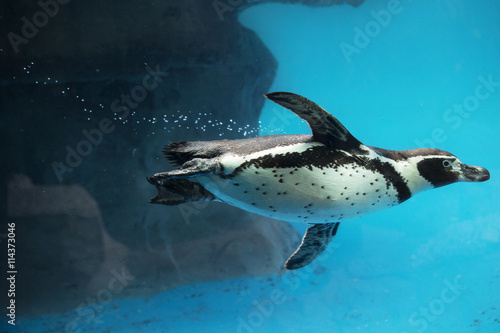 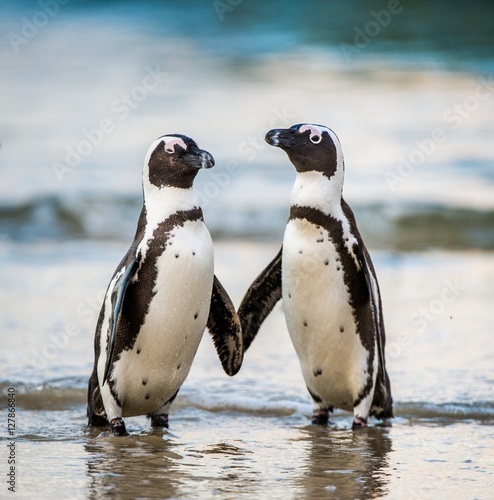 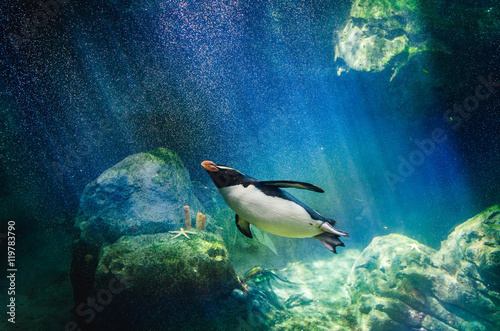 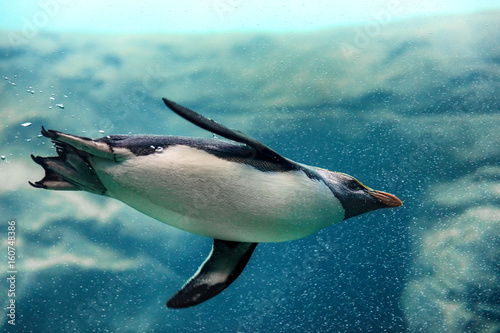 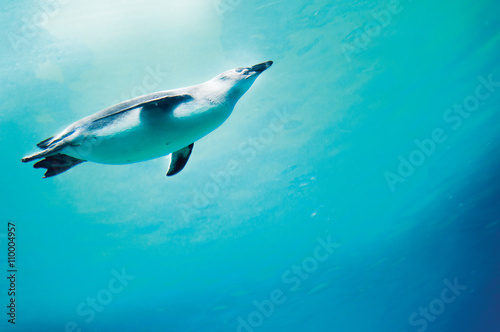 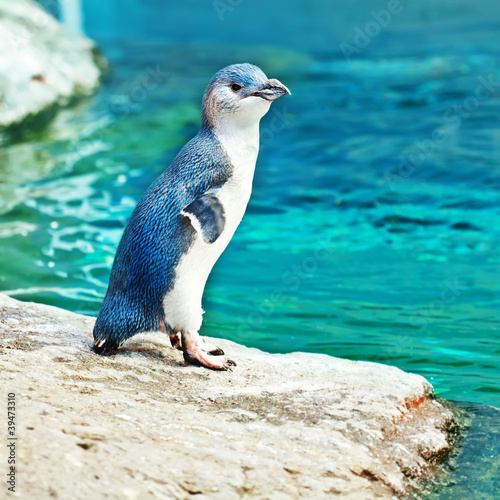 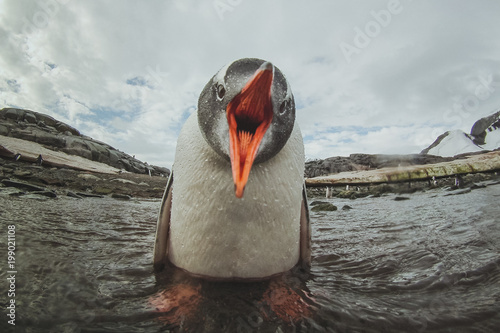 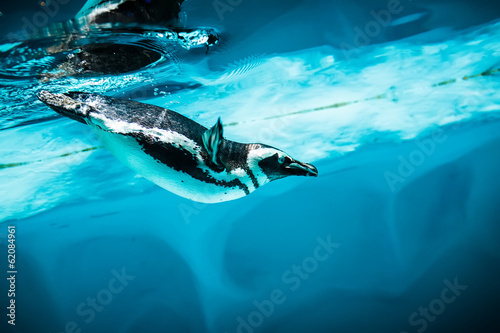 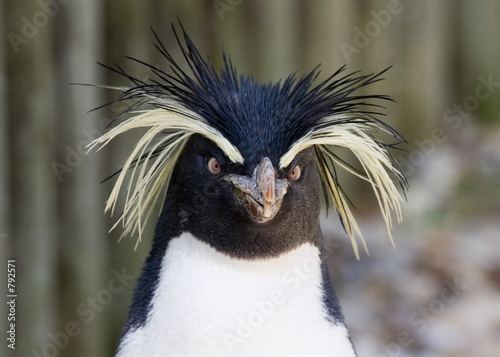 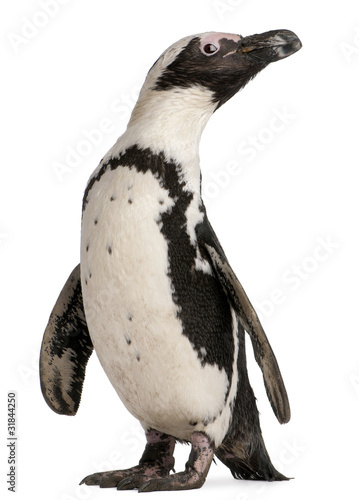 Conception of diving penguin plunged in blue water. 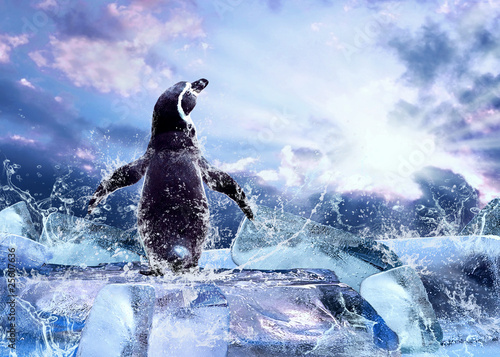 Penguin on the Ice in water drops.